KOOLTRONIC offers Enclosure Accessories that control temperature and humidity as well as help to organize space in electrical enclosures and cabinets. Suitable for many application, this selection of accessories includes heaters, thermostats, hygrotherms, hygrostats, lights, electronic relays and mounting aids. Maintaining consistent enclosure temperatures is key to prolonging the life of sensitive electronics and avoiding costly system failures. Both indoor and outdoor applications are subject to temperature and humidity changes that can lead to formation of condensation. Enclosure accessories can overcome many of these challenges. These enclosure accessories can be used in conjunction with enclosure air conditioners, heat exchangers and fans. above 60%, condensation will begin to form on the electronics housed in an enclosure. In order to prevent this dangerous build-up, KOOLTRONIC offers a selection of enclosure heaters that help maintain consistent temperatures and prolong the life of sensitive electronics. 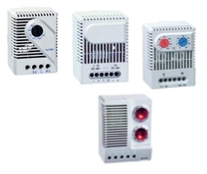 Several models of high performance fan heaters and compact PTC heaters are available and all models are DIN rail mountable. 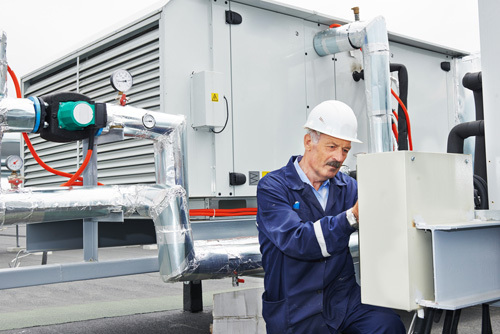 The heating and cooling devices used in enclosure climate control must also be monitored and regulated closely to ensure the appropriate temperature and humidity conditions are maintained. KOOLTRONIC Enclosure Accessory Controls can help achieve the ideal operating conditions even in the harshest environments. KOOLTRONIC offers an assortment of thermostats (mechanical, small and dual-function) designed to control the air temperature inside enclosures and control panels. Hygrostats are designed to control the relative air humidity inside an enclosure, while electronic hygrotherms sense the ambient temperature and relative air humidity. Depending on the contact combination, they will turn a connected device on or off if either the temperature is below the set point or the humidity rises above a specified level. KOOLTRONIC provides enclosure accessories designed to aid in the organization of electronic cabinets and control panels. 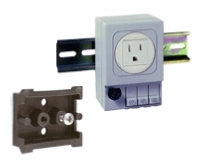 We offer quick connect enclosure receptacles that are available with or without a fuse, and are DIN rail mountable. If space is limited, the KSDR/FIX is a self-adhesive mounting aid that makes the mounting of smaller DIN rail mountable components easier. KOOLTRONIC also offers a variety of compact enclosure lights designed for use in industrial enclosures and control panels that need supplemental lighting. These lights offer simple and quick installation, and the flexibility of various mounting positions. 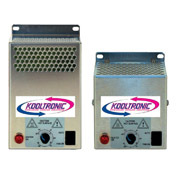 Additionally, KOOLTRONIC has an array of outdoor filter fan and exhaust packages that are used in enclosures to dissipate heat that is harmful to the sensitive electronic components being housed. 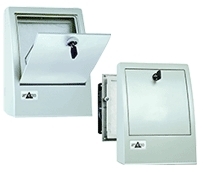 These fans feature a filter that is easily changed by opening the lockable door of the outdoor hood. Moreover, IP55 protection is attained by the specially designed hood and special filters used with exhaust packages; and the plastic casing is impact-resistant, weatherproof and UV resistant. KSEHT Heaters - Compact high-performance fan heaters prevent formation of condensation, providing an evenly distributed interior air temperature in electrical enclosures, increasing component reliability. These heaters feature brushed metal housings and include an auto fan control switch to prolong motor life. A pilot light indicates "Heat On" condition. Controls - In addition to heating or cooling equipment that control enclosure environments, devices that regulate and monitor temperature and humidity are essential for maintaining proper enclosure operating climates. Temperature and moisture are controlled by Thermostats and Hygrostats, and the airflow monitor detects and signals fan malfunctions. Heaters -These high performance fan heaters and compact enclosure heaters prevent formation of condensation and maintain minimum operating temperatures in enclosures. These accessories help to prevent failure of electronic components caused by condensation and corrosion. 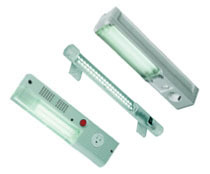 Lights -These small, versatile lights were designed for use in industrial enclosures and control cabinets. Available with a variety of options, these accessories offer an essential level of security and convenience. Miscellaneous -These small accessories were designed to aid in the organization of electronic cabinets and control panels. KSDR/FIX makes the mounting of smaller DIN rail mountable components easier. Enclosure Receptacle offers quick connections, is available with or without fuse and is DIN rail mountable. 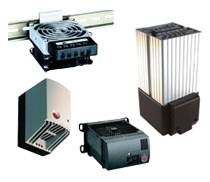 Filter Fan & Exhaust Package -These indoor/outdoor filter fan and exhaust packages are used to dissipate heat harmful to sensitive electronic components.